The red fox (Vulpes vulpes) is an omnivorous mammal found throughout the world. The resourceful red fox subsists on a diet that ranges from rodents and rabbits to vegetables and even human trash. Though hunted for sport and killed as a nuisance animal, the IUCN Red List of Threatened Species lists the red fox as a species of "least concern," a status far less crucial than endangered. Red foxes have the widest range of any species in the Canid family, which includes other foxes, dogs, wolves and coyotes. They’re found naturally throughout the northern hemisphere from the Arctic Circle to northern Africa. They were introduced to Australia in the 1800s and elsewhere. Red foxes are adaptable enough to live in habitats including forest, tundra, prairie, desert, mountains, farmland and urbania. Typically these brownish-red creatures will take up residence in scrublands and woodlands where vegetation is plentiful. The red fox’s global population varies considerably, but the IUCN categorizes the current population as stable. Among areas of highest population density are urban areas of the United Kingdom, where up to 30 red foxes per square 1/3-mile can coexist. Largely, the number of foxes in a natural habitat is more likely to range around one to two families per square mile. No direct measures of red fox population density have been taken since 2001. The largest threats to the red fox population include habitat loss and fragmentation, exploitation and hunting. 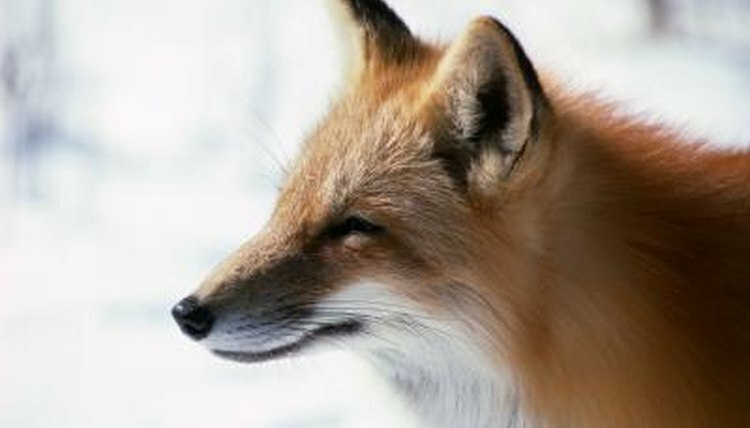 In the early 1900s, red foxes were routinely hunted, as well as raised, for their fur. Red fox fur was one of the most in-demand furs on the market, second only to mink. Habitat loss and degradation is a large problem for red fox populations today; however, the species is resilient, and with such a varied diet they’ve been able to adapt to and flourish in agricultural and urban areas. The European Union, Canada and Russia regulate and restrict the trapping of red foxes. Europe and North America impose designated hunting and nonhunting seasons for foxes. Individual circumstances, such as a red fox routinely attacking a farmer’s herd, are ambiguously regulated. Red foxes have to avoid coyotes and wolves. Coyotes and wolves often attack red wolf pups for food, and they attack adult red foxes during territorial disputes. Wild red foxes live on average 3 years. Captive red foxes can live up to 12 years, but they typically don’t do well in zoo environments due to their solitary, shy nature.